Handprinted Giraffe Babygrow. 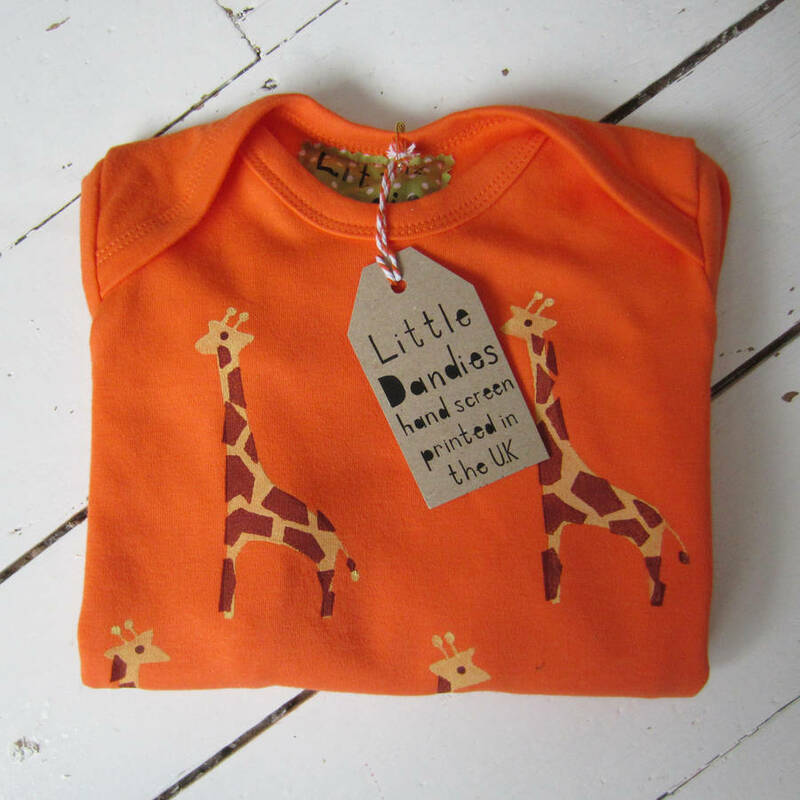 A unisex babygrow, brightly coloured giraffe handprinted in retro orange. 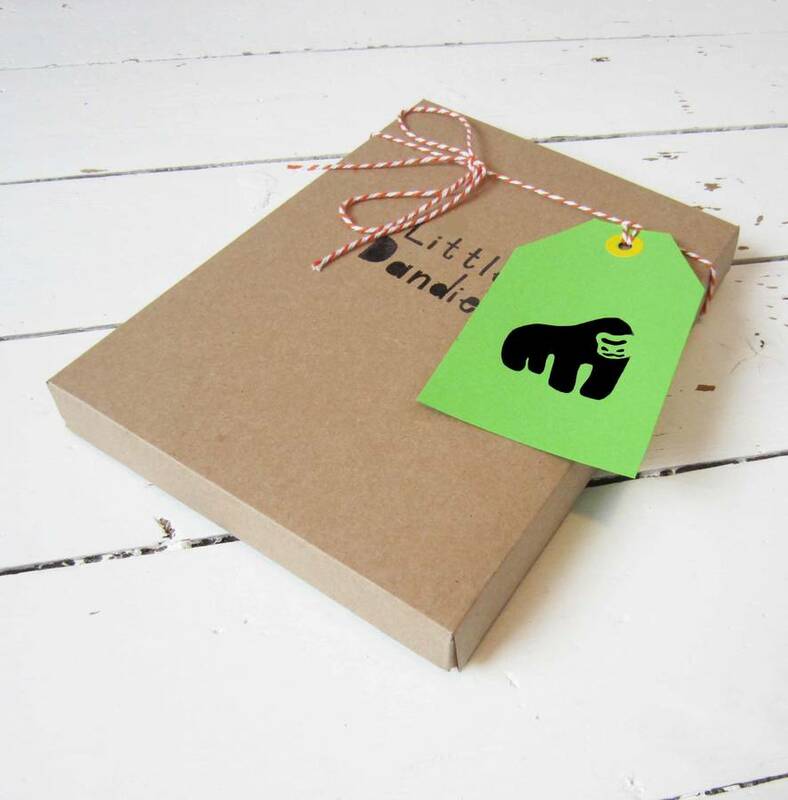 A handprinted chocolate and buttermilk giraffe. 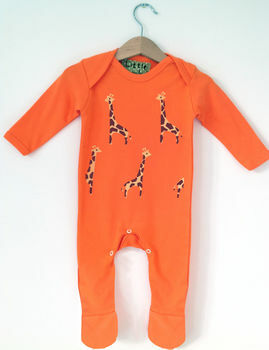 On the back of this animal babygrow at the bottom is a small giraffe.